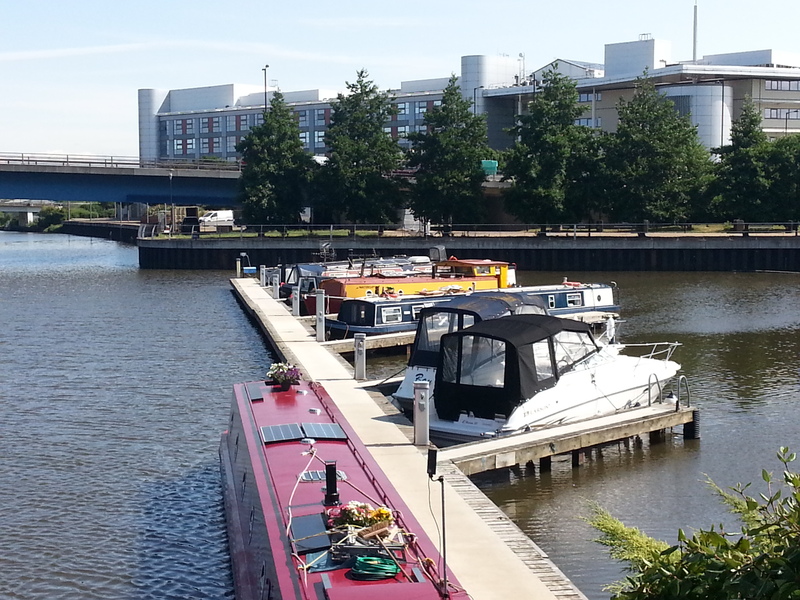 Doncaster Wharf is a bustling small off-line mooring situated in the centre of Doncaster on the Sheffield & South Yorkshire Navigation. 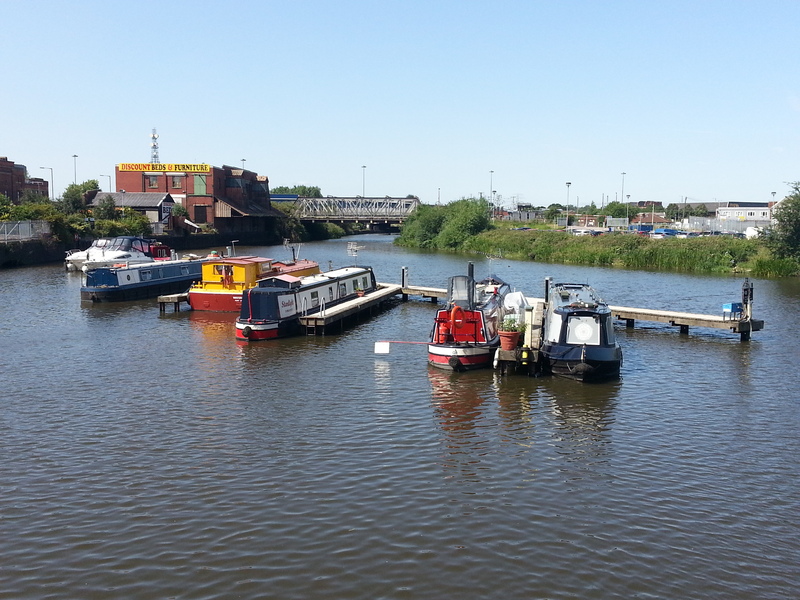 The site provides boaters with a perfect base to explore the 43 miles of navigations around the River Don, which connect Sheffield, Rotherham and Doncaster with the River Trent at Keadby. Site is configured on a herringbone layout and provides space for up to 12 vessels moored against finger pontoons. 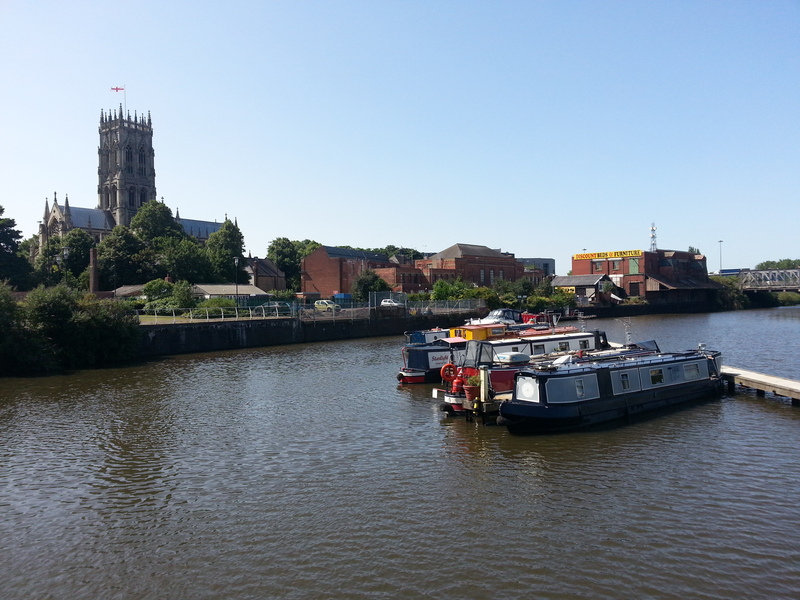 The moorings are in the centre of Doncaster town and can be accessed from Greyfriars Road. The nearest main carriageways are the A630 Church Way and the A19 New Bridge Road. The water point and refuse disposal are for the use of all customers. Electricity is provided to some berths on site. Customers are required to set up an on-line account through which payment is made for the cost of energy used. The car park is for the use of mooring permit holders only. Vehicle access to the car park is from Greyfriars Road, through the green fencing. 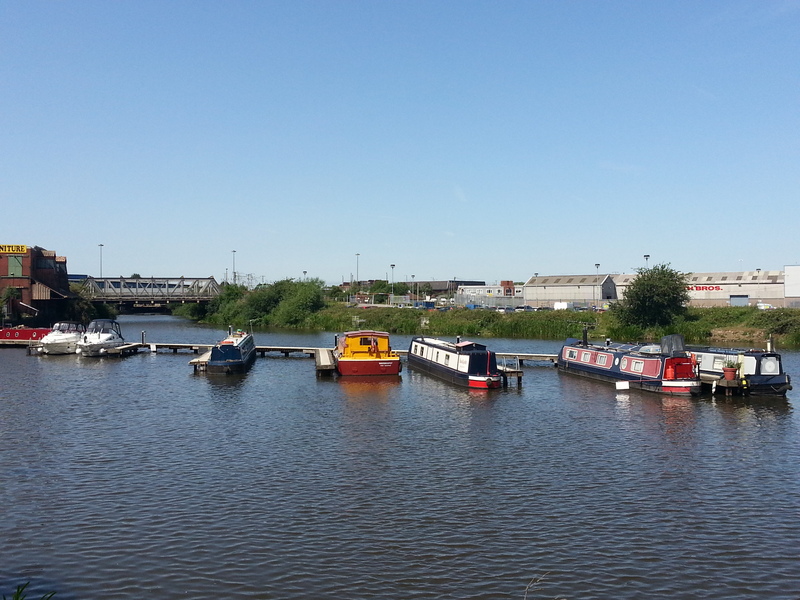 This area of the site is currently secured by a non standard lock which requires a key, separate to the usual CRT one, available from the Moorings Manager at the refundable cost of £50. Pedestrian access from the car park onto the mooring area is along a small tarmac access path that slopes downward towards a gated entrance. This is secured by a standard CRT lock. Keys for this lock can be purchased from CRT and other waterside outlets at a cost of £7 each. IMPORTANT NOTES: Customers must store all items aboard their boats and not on the pontoons. Please contact the Moorings Manager to arrange a convenient time to inspect the mooring.